Disclosure: ABC were given the opportunity to try this product in exchange for their honest review. Chewy.com deliveries are our favorite! ABC can hardly wait for me to open a Chewy box. This box was especially exciting because it contained a new food for ABC to try! Blue Buffalo Wilderness Wild Rolls Salmon Recipe is a soft-moist roll of food that is grain-free and naturally preserved to deliver the smoky flavor of delicious salmon in every bite. This has become a favorite for ABC. I place a small amount of dry food in their bowls, then add a few chunks of Blue Buffalo Wilderness Wild Rolls Salmon Recipe and they devour it all! I have a feeling ABC will be begging for more after this first roll is gone. Thanks to Chewy.com for introducing us to another product we love! Disclosure: ABC were given these treats in exchange for their honest review. 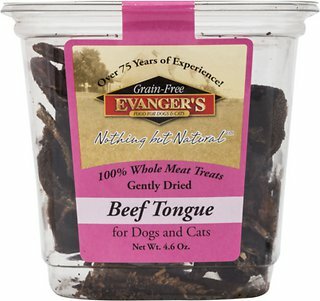 Evanger’s Nothing but Natural Beef Liver Gently Dried Dog Treats are a favorite in this household! When I break out these treats, ABC sit at attention until they receive a treat then they beg for more. The good thing is that these treats are nothing but pure beef liver! They have no additives and they are grain and gluten-free. There’s nothing more than pure beef liver! Because of the palatability and wholesomeness of these gently dried treats, they are excellent for finicky pets or pets with food sensitivities, as well as for use as a training reward or food mixer. Chewy.com is committed to pets lovers and their pets. To find out more about Chewy.com and their products, visit their website. Disclosure: ABC received this dog food in return for their honest review. 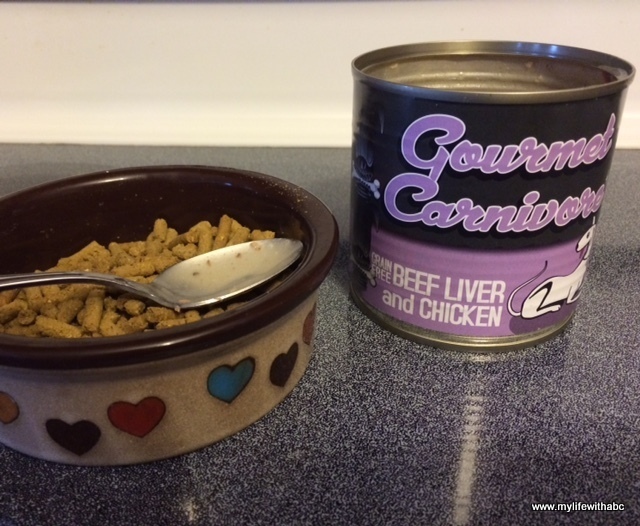 Recently Artie, Buddy, and Coby were given the chance to try Tiki Dog Gourmet Carnivore Beef and Chicken Canned Dog Food. 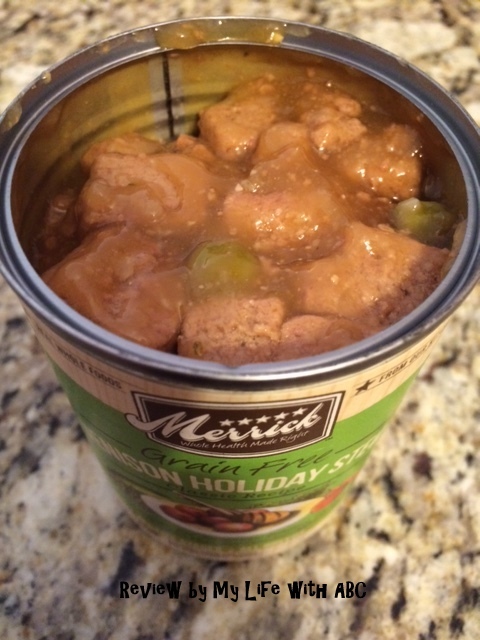 Thanks to Chewy.com, this is now their favorite canned food. I’m happy that they love it because as you can see below, it’s good for them too! Satisfy your carnivore’s cravings with a gourmet menu that matches their natural prey diet! Tiki Gourmet Carnivore has the ultimate wild prey nutrient profile. With whole meats and great flavor, your carnivore is sure to love it! To find out more about this dog food or other pet products, visit Chewy.com…where pet lovers shop! Disclosure: I received this dog food from Chewy.com in return for OUR honest review. 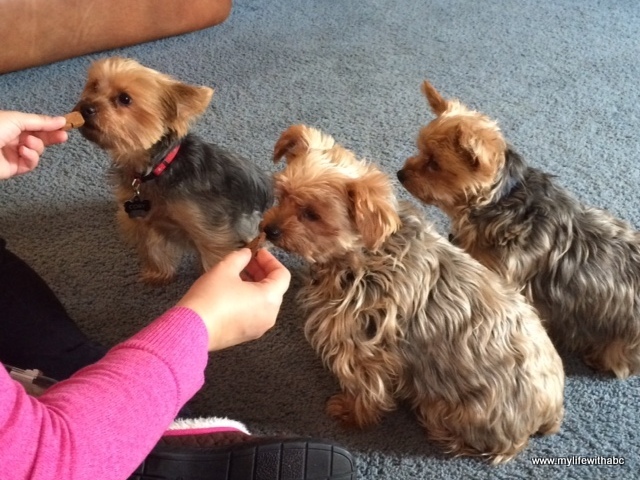 Artie, Buddy, and Coby can be fussy eaters. Thanks to us…they have gotten in the habit of having their dry food with a helping of wet food atop it. Sometimes, especially Coby, will eat the wet food and leave the dry. So, when I was given the chance to review Merrick’s Grain-Free Venison Holiday Stew, I was excited for the little guys. This food is packed full of venison, red jacket new potatoes, carrots, zucchini, peas and red delicious apples. Not only is it grain-free, but it has added vitamins and minerals and no artificial colors, flavors or preservatives. 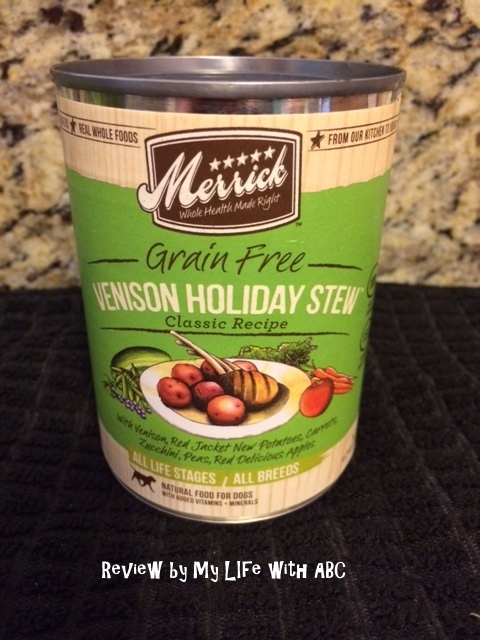 If you are looking for a canned food for your dog, I highly suggest taking a look at Merrick Grain-Free Venison Holiday Stew and other products offered by Merrick. Part of their slogan is real whole foods for all breeds at any stage of life. I believe this and I’m happy to have found Merrick. Well, it’s been 13 days since we received our first BarkBox and I wanted to share how impressed I am with the quality of the toys. My dogs, especially Artie and Coby, are very determined to break open toys to get to the squeaker inside. 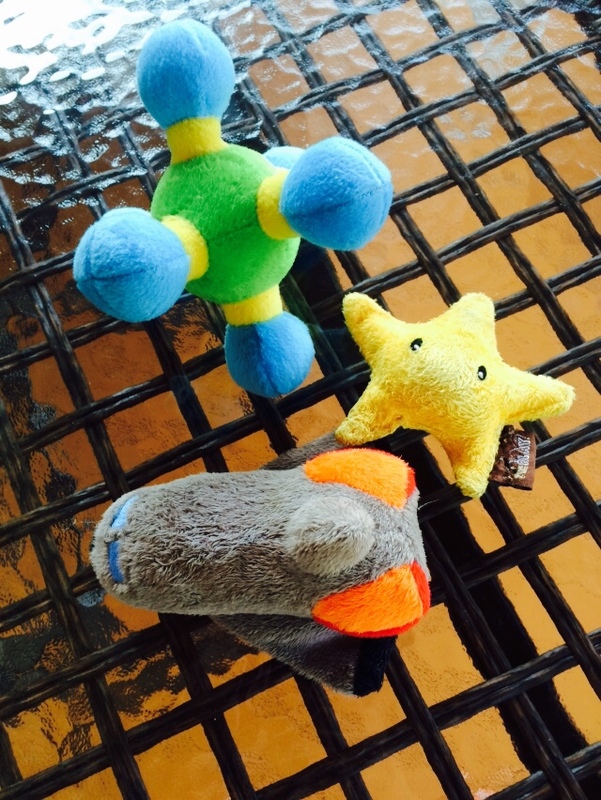 After 13 days, that hasn’t happened with these toys AND the squeakers inside still work. The toys after 13 days!!!! Just before getting our BarkBox, I went to a local pet store and bought a toy. Within 2 hours, they had the toy broken opened, stuffing everywhere, and the squeaker broken. 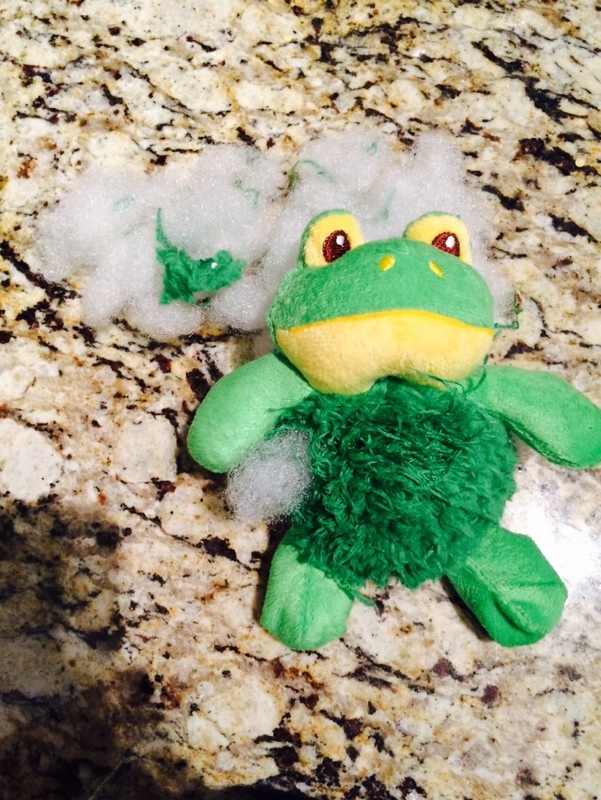 That’s not to say that all pet store toys are made cheaply, but you get what you pay for. If you buy an inexpensive toy, it’s not going to last long. If you pay a little more, the toy will last longer! Pet store toy after less than 2 hours. So, my point is, take a look at BarkBox and BarkShop. BarkBox is a monthly subscription. For more information see my June 21 blog post. BarkShop is an online store where you can buy the individual toys, treats, etc. The links to both BarkBox and BarkShop are below. Be sure to use my links to get discounts! Good news!!! The number of illnesses related to toxic jerky treats for dogs is dropping. The reason for this drop appears to be from customer knowledge about the issue. Although most of the toxic jerky comes from China, this is not always the case. Some pet stores have stopped carrying dog food and treats manufactured in China. When my husband and I go to the pet store, we always check the place of manufacturing before we buy any food or treats for ABC. Please be cautious about buying treats and food from China. For more information, please see the article from petMD below. 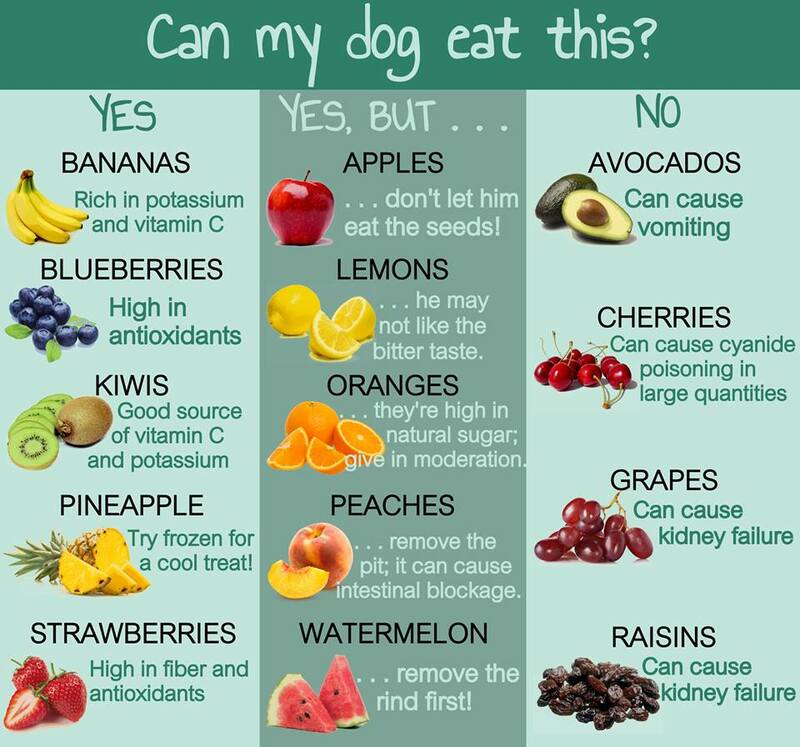 Latest Information on Toxic Jerky Treats for Pets | petMD.